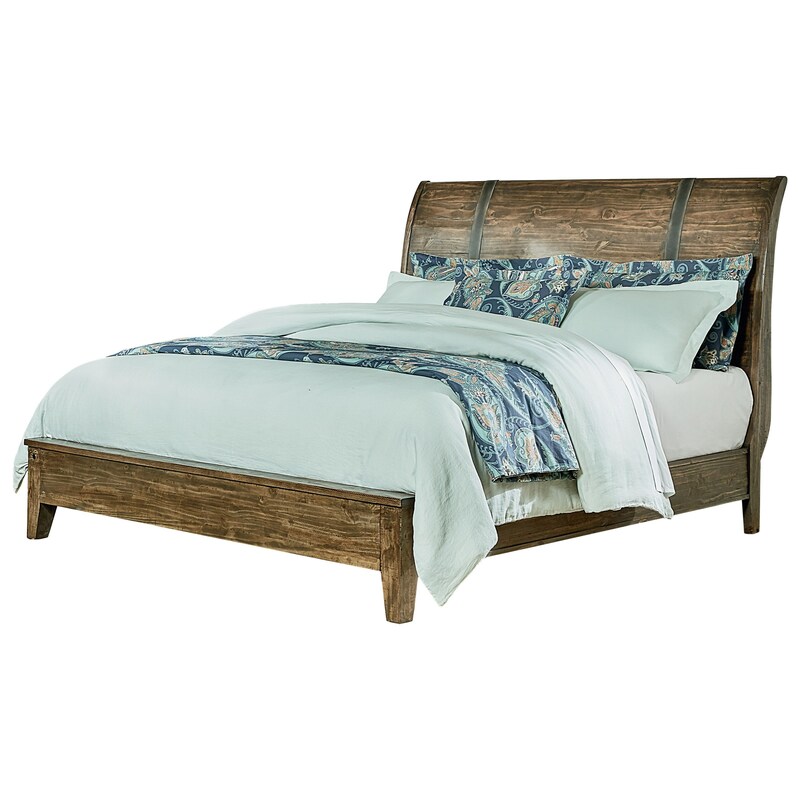 This charming queen sized bed blends rustic and contemporary styles, creating a charming and updated bed. The bed has a low footboard and a stylish sleigh headboard accented with metal bands. The set has clean faces and tapering block legs, contrasting with the rustic finish. Pair with the matching storage pieces for a timeless collection for your bedroom. The Nelson Rustic King Sleigh Bed by Standard Furniture at Zak's Home in the Tri-Cities, Johnson City, Tennessee area. Product availability may vary. Contact us for the most current availability on this product.